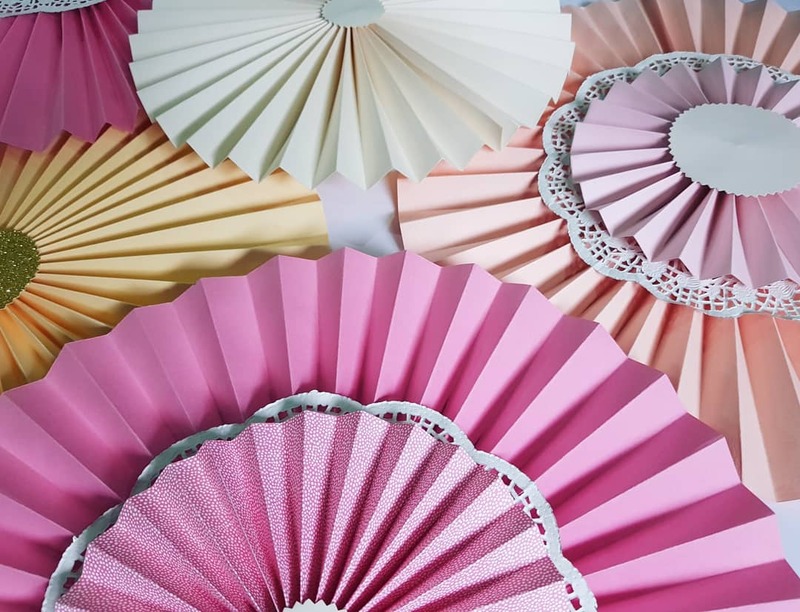 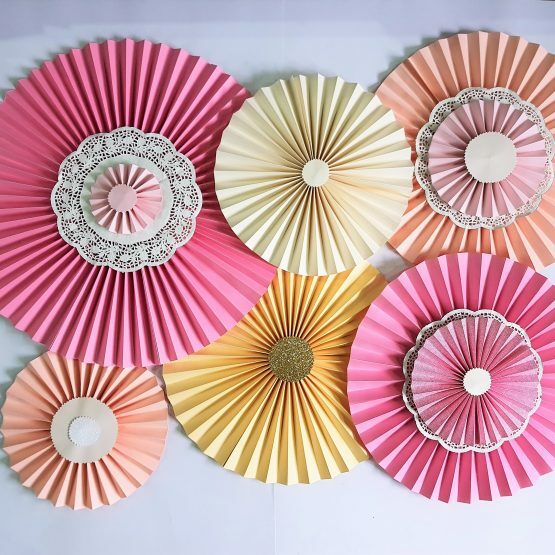 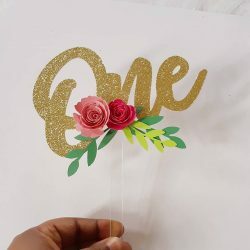 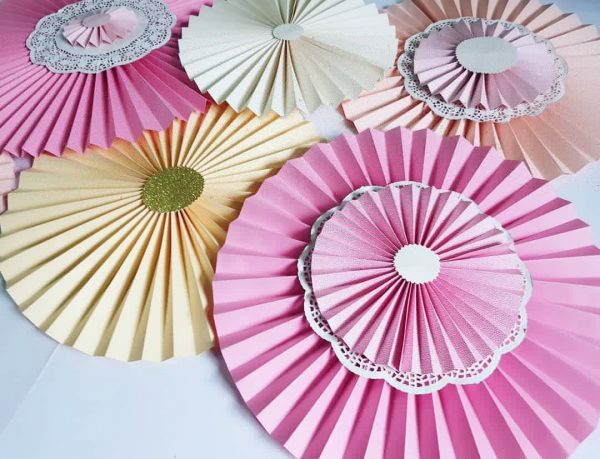 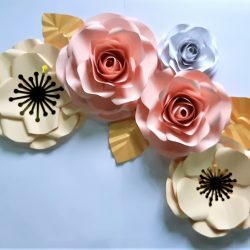 A beautiful paper fan backdrop that will add a unique touch to your event. 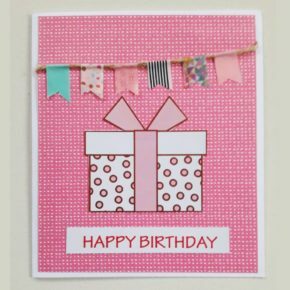 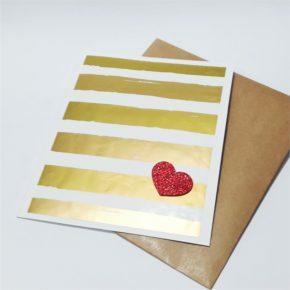 Perfect for birthdays, weddings, baby showers or nursery decor! 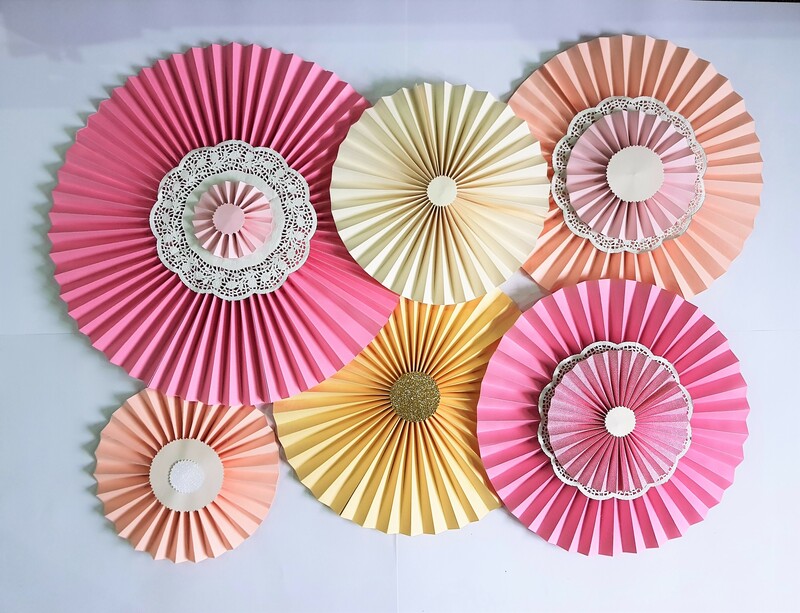 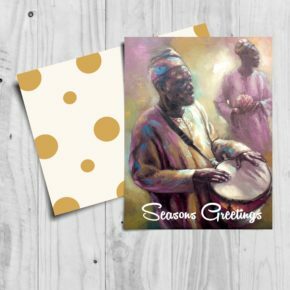 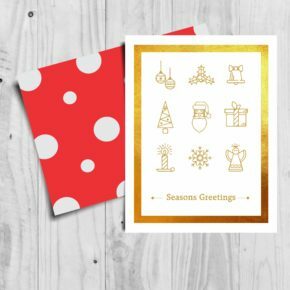 All paper fans are made from high quality card stock and come with mounting tape behind to place on wall and remove easily as well.